How is BGO Live Differentiated? If you are looking for another online casino to enjoy some Blackjack games on, we have another in BGO Casino that might just interest you. BGO Casino has been in operation for six years now with it being launched back in 2012 and it has since become a pretty popular choice particularly among players in the UK and across Europe. Featuring a number of live Blackjack tables as well as the usual suspects in terms of casino games, BGO Casino might just be one worth checking out. The privately owned gaming company BGO Entertainment Limited operates this online casino and they are based out of Alderney on the Channel Islands. 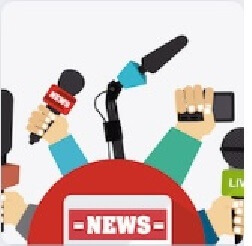 They have obtained licenses with both the UK Gambling Commission and the Alderney Gambling Control Commission which allows them to offer their product to players in Britain and players from various other countries in Europe and North America. In 2014, BGO Casino earned an interest from Playtech, one of the worlds largest gaming providers and since 2015 it has been using their cutting-edge platform to provide its wide range of online gambling options. BGO is our go-to site for PlayTech live blackjack. BGO Casino uses Playtech as their provider for live dealer games and in terms of the choice that you have for live Blackjack, there are 18 tables to pick from. This is not as extensive a number of tables compared to other online casinos out there right now but it should be more than enough for most of you. What is a little disappointing is the fact that there is only one branded BGO table for Blackjack. Plenty of other online casinos have a much better selection of private tables for their own players to use but this is not overly important as you just want to play Blackjack right? The branded BGO Prime Blackjack table is the easiest to get to when you first click into the Blackjack section on the casino and it will allow you to bet between 5 EUR and 1,000 EUR per hand. If you were to click into the full Blackjack lobby, this is where you will find the remaining 17 BGO live Blackjack tables with variations including unlimited, grand, royale, soiree and soiree elite. Betting ranges will vary depending on the tables you choose but the lowest and highest bets that you can place are 1 EUR and 1,000 EUR respectively. As for the languages that these tables are available in, while they accept players from the UK, Canada, Norway, Malta, Sweden and a number of other European countries, they only provide English as the language used on their tables and at their casino. The signup bonuses at BGO Casino are a little disappointing if you are primarily a Blackjack player as there are no match deposit bonuses available to take advantage of. They only offer 100 free spins on a selection of slot machines with the key selling point being that there are no wagering requirements for those spins. This is no good for Blackjack players, however, so if you were specifically looking for an online casino that offers a good welcome bonus that you could use for your Blackjack sessions, this might not be the one. BGO Casino does have a good selection of payment methods which is always a plus for any online casino. As well as the standard credit/debit card options you can get money into and out of the casino via other payment methods such as PayPal, Skrill and Neteller. The payment methods offered to you might change depending on the country you are playing from but those above are pretty standard across the board. There is a minimum deposit requirement of £10 at BGO Casino which is fairly standard at most online casinos but it does let itself down by charging fees for deposits. This is set at 2.5% or a minimum of £0.50 per transaction and while BGO is not the only casino to have fees for deposits, it is not something that many players will be too happy about. When withdrawing, requests are dealt with daily and will be kept pending for as long as 24 hours. Once passed the pending stage the processing time will vary depending on the payment method used. Card and bank transfers will take the longest with most taking between 3 and 5 working days to complete. E-wallets such as PayPal and Skrill will obviously provide the quickest processing times as these are completed almost instantly once the 24 pending period is over. You will only be able to withdraw using a payment method you have used previously to make a deposit – which is worth noting. A big plus for any online casino is if they are able to efficiently offer their games to players using mobile devices and fortunately, BGO is one such casino that does. They have dedicated apps for both iOS and Android users which gives players the ability to enjoy the live Blackjack tables from the comfort of their mobile devices. Furthermore, the desktop version of BGO Casino is mobile-optimised as well which means you can access it through the browser on your device without any issues too. Where BGO Casino Stands Out Against the Competition? 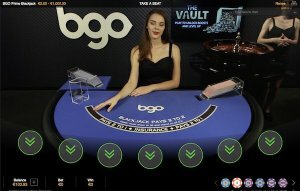 BGO Casino has been established a few years now and has garnered a good reputation in that time and while it does not offer anything especially different from many other online casinos out there, it does stand out for a number of reasons. It has dedicated apps which makes it far more efficient for mobile players to enjoy, has a good selection of payment options and for Blackjack players in particular, it has a good variety of betting ranges that you can enjoy at the live tables.